Chris Park is a Druid, ecological artist, bard and storyteller with a bag of tales from the world over. He shares the Druid Tradition with bardic storytelling, harp, song, awen and healing. Recently, he has traveled to the Himalayas, South America and Throughout Turtle Island, building and/or renewing Government to Government relations. He proudly represented his Nation, at symposiums and networks locally and nationally to develop joint community and sustainable growth projects. He currently resides at his childhood home, in the Ramapough Lenape’ “Deer Clan” community of Hillburn, New York. In residence is his wife, Pat. He is the father of two daughters, Susan, and Leah, and Grandfather to a beautiful Granddaughter Madison Hubbard. This soulful songstress will astound you with her enchanting vocal prowess and captivating, mystical melodies. Her heartfelt songs of serenity and strife, passion and peace are deeply evocative and stunningly moving. Founders of the award winning plant based eatery Wild Food Cafe in London, Joel & Aiste are conscious entrepreneurs, devoted to transforming humanity's relationship with food through community-centred service; increasing the quality of local, organic, seasonal food, and holistic education. They are lifelong explorers of wide spectrum of wellbeing and spiritual modalities. For the past 7 years they have been teaching plant based culinary arts and wellbeing technologies at their Wild Food Cafe School and Retreats worldwide. Dream Seed is a sound healing ensemble created by members of Golden Drum, Sacred Arts Research Foundation and Didge Project. Shamanic chanting, mantras, overtone singing, Native American songs, indigenous music, didgeridoos, crystal singing bowls, bells, gongs, harmoniums, tuning forks and other overtone-emitting instruments are used to create an environment conducive to deep relaxation and inward investigation. Participants are led through guided meditations and sound healing practices designed to harmonize body, mind and spirit. A visionary musician who, with voice and ancient Afrikan instruments, channels sound as a universal healing force. Together, breathing rhythms to the beat of our synchronized hearts, Kevin Nathaniel resonates songs of the "big picture" of love in ways that propel the soul to dance! A long-time devotee of mbira, kalimba, circle song, drum, dance, meditation, and yoga; a world-traveled music healer sharing the musical medicine of the ancient, the now, and the beyond, Kevin Nathaniel brings a fresh, deep experience of the beauty of sound. Polish flutist, multiinstrumentalist, traveler and composer. Initiated Mayan Tz’utujil fire and day-keeper. 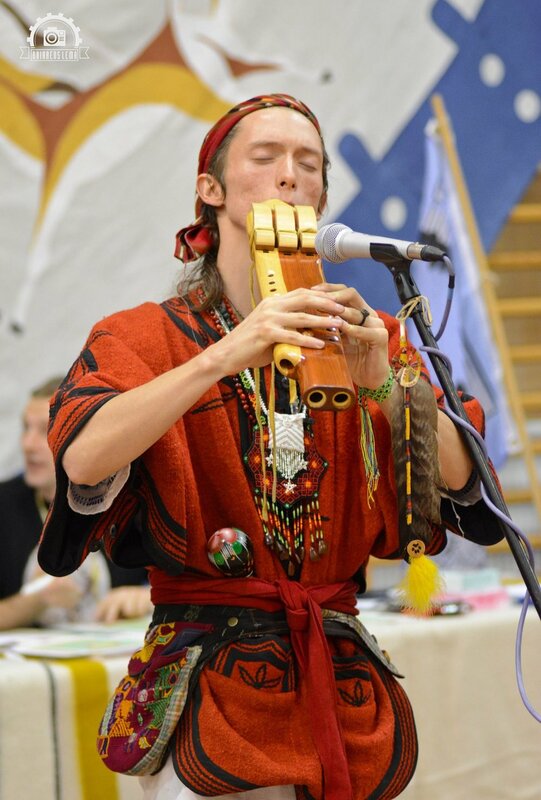 Inspired by native cultures, he creates highly atmospheric music using ethnic instruments from all over the world. In his musical output he already has 10 albums recorded solo and with other musicians. Harevis, using his exotic instruments, takes the audience on a colorful journey to the limits of the imagination. Beyond time and space. From temples hidden in the jungle thickets, to the tombs covered in the sands of desert. Rhythms of tribal dances around the fire and echo of meditating monks. 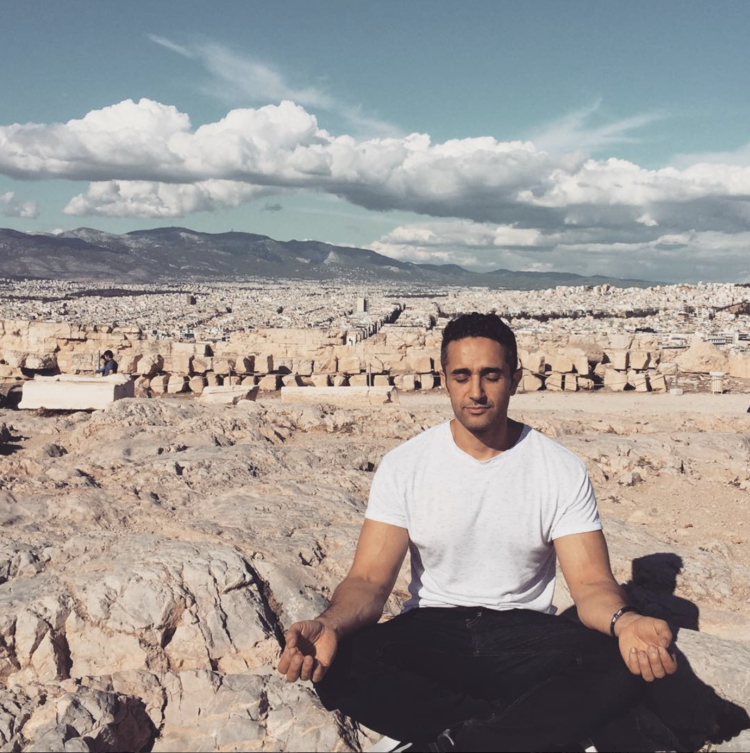 Professional athlete, a teacher and a transformation coach, uses certain meditations, kundalini yoga and Prana breath-work to help people journey and explore the sub-conscious realm, so that individuals may be able to release and remove emotional blockage and trauma trapped in the body, leaving them felling lighter and liberated.